Potash of Saskatchewan (POT) is one of the world's largest fertilizer companies. It produces three plant nutrients, nitrogen, phosphate, and potash. The firm reported very solid earnings recently. Gross profit tripled year over year on a 94% jump in revenue. This came on significant price increases on nitrogen (up 57%), phosphate (up 135%), and potash (up 162%). POT expects the good times to continue, and has raised its guidance for the year to between $12 and $13 a share. The consensus among analysts, as of writing, is around $11.70 a share. 1. At about $200 a share (as of writing) Potash is trading around 17 times its full year earnings estimated by analysts, which is below the company's forecast. 2. The company is a cash machine. Free cash flow accounted for over 20% of sales in the last two quarters. 3. POT has been buying back shares. The company stated it intends to buy 5% this year. 4. The world's food stocks and arable land are at historically low levels while demand is high. 5. There is plenty of room for growth, as farmers in markets like Brazil and China have underused fertilizer in the past. 6. There are significant barriers to entry into the nitrogen, phosphorus, and potash markets. 7. The stock can easily double in the next couple of years as long as fertilizer prices continue to rise. 8. Management is knowledgeable, responsible, and shareholder friendly. The CEO has three decades of experience in the industry. If you are interested in agriculture businesses in general, and would like a more diversified approach across a number of industries, you may want to look at the Market Vectors Agribusiness ETF (MOO). POT is currently its second largest holding while agriculture chemicals stocks account for almost half of its holdings. 1. In the near term, there is a threat of a strike at a few of the company's potash mines (they account for almost one third of the firm's potash production). A labor strike, depending on its duration, may hurt profits. The share price may fall too. 2. While POT's private competitors, like Agrium (AGU), Mosaic (MOS), and Yara International (YARIY) have an interest in not overly increasing supply, government owned competitors have less incentive. They may overproduce, lowering prices. 3. Fertilizer pricing is volatile. While prices have gone up recently, the trend may reverse. Factors affecting pricing include the weather, agriculture commodity prices, and natural gas prices. 4. Government policies may also affect pricing. For instance, the US, in its recent negotiations with India has signaled that it might cut farm subsidies. As another example, if the price of oil continues to fall, the US may be less favorable toward biofuels. The Environmental Protection Agency is set to decide whether to cap corn for fuel use at 9 billion gallons for the foreseeable future (it was widely expected that the cap would rise to 15 billion gallons). This could drive corn prices lower, which in turn would hurt fertilizer demand. 5. While demand for food is historically high, slowing economic growth and rising inflation could cut demand for meat in places like China. This can drive down grain prices, and thus demand for fertilizer. 6. There are already signs of weakness. China's phosphate fertilizer demand dropped around 10% (year over year) in the last two quarters. Its potassium fertilizer demand fell about 15% (year over year) over the same period. 7. Rising sulfur (an important ingredient in phosphate fertilizer) costs can contract margins. 8. Water inflow, which potash mines commonly face, can ruin mines. This can seriously hurt profits. 9. Nitrogen and phosphate prices are not expected to rise very much in the future. Nitrogen and phosphate accounted for around two thirds of sales and just over half of POT's gross profits in 2007. 10. If the US dollar weakens against the Canadian dollar, POT's earnings can be hurt. The risks don't necessarily outweigh the potential returns. Nevertheless, as they are numerous and unpredictable, I would prefer a lower price at which to buy shares. I'll be a buyer at around 14.5 to 15 times analyst projected full year earnings. That's around $170 to $175 a share. I may miss the boat on this one, but that's ok. Welcome to the July 21, 2008 edition of the Simply Investing Blog Carnival. There were many great submissions. I enjoyed reading them all. Barb A. Ryan presents Asset Allocation, Investment Asset Tax Location, and Emergency Cash Management posted at Pasadena Financial Planner. "This article discusses personal investment portfolio asset allocation and some considerations about where to hold different classes of financial assets from the standpoint of more optimal taxation." Michael Bass presents The Economics of Gold Investments posted at Debt Prison, saying, "The real question is can a discretionary paper currency managed by Central Bankers perform as well a gold standard?" The Investor presents Who’s your Star Wars money hero? posted at Monevator.com, saying, "What if Star Wars could teach us something about personal finance? Well, read on to discover what the classic trilogy’s major characters know about money." Aussie Investor presents Dividend Yield Investing For Beginners posted at Stock Market Investing For Beginners, saying, "If you're a stock market beginner looking to make a start on investing, dividend yield is an important concept to come to terms with. This article describes what a dividend yield is, how to calculate it, how to use it and what the pitfalls can be in applying it." Dorian Wales presents 10 Sure Ways to lose 50% of your investment posted at Personal Financier. The title says it all. Chris presents 9 Surefire Strategies NOT to Retire Early posted at nomad4ever. The title says it all. Phillip Lyon presents Should You Short Stocks? posted at Intelligent Speculator, saying, "If you are an experienced investor shorting stocks should be part of your investment strategy. Shorting allows you to profit when a stock goes down in price. In a declining market, such as the current one, it is a lot easier to make money shorting stocks than buying stocks." Raag Vamdatt presents Start saving early and gain from Compounding - Early bird gets the worm :: RaagVamdatt.com :: Financial Planning demystified posted at RaagVamdatt.com. "This article emphasizes the importance of starting to save early in ones life. It also talks about the positive impact of compounding." teenvestor presents Netflix posted at Value Investing, and a Few Cigar Butts. Analysis of Netflix stock. The author is a 17 year old investor. Good job starting early. Steve Faber presents - How to Become a Millionaire posted at DebtBlog. The author explores the different routes to wealth. Unfortunately for me, they all involve hard work. Bryce presents Inflation posted at Save and Conquer, saying, "A look at hyperinflation and an investment that can hedge against it." FIRE Getters presents Simple Strategies to Inflation Proof a Portfolio! posted at FIRE Finance, recommending that you purchase TIPs bonds. 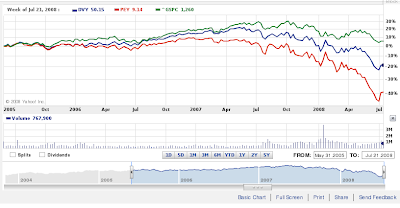 The Dividend Guy presents Go Ahead and Buy High Load Mutual Funds posted at The Dividend Guy Blog, saying, "Loaded mutual funds are never a good idea, this post discussed why." KCLau presents Knowing your enemy - Inflation! posted at KCLau's Money Tips, saying, "Article on what inflation is, what causes inflation and how we as consumers can outstrip inflation." vld2czech presents How to invest in gold. posted at StockWeb, saying, "Find out how to invest in gold with ETFs and which exchange traded fund brings the best performance." Llamamoney presents Silver Unstoppable? posted at Llama Money, saying, "Silver's on an impressive run--how long can it last?" terry dean presents Price Point Strategy posted at Integrity Business Blog by Terry Dean.Terry Dean describes his internet business strategy. imarketing4s presents How To Win Small Business Grants | LoanHunt.com posted at LoanHunt.com, saying, "A government grant is an option to obtain start up financing for a business." Jose DeJesus MD presents Drawing on Your Retirement Funds posted at Physician Entrepreneur. Helen Anderson presents 5 Credit Card Fees You Probably Didn’t Know About posted at Bankaholic, saying, "There’s no disputing the fact that credit cards have become a basic necessity today; with all the awareness that’s being raised about the debt problems caused because of credit cards, people are beginning to realize the value of using them judiciously. But there are other ways in which credit cards can cost you money - ways that are advantageous to your card company and detrimental to your interests (no pun intended). If you’re not careful when you sign up with your provider, you could end up paying a huge amount of money in extra fees and penalties alone." Mark Runta presents The Writing on the Wall! posted at Smart Investing & Money Management, saying, "Focus on major economic trends and stick with your investing plan - rest is minutia and technicalities." Rocko presents The Myth of Diversification posted at Days Of A Neophyte Mathematician, saying, "An unconventional opinion toward portfolio diversification." Leon Gettler presents Will Bernanke's rescue plan work? posted at Sox First, saying, "Ben Bernanke’s latest rescue plan won’t work because it doesn’t address the big problem confronting the US economy. Pumping more money in is not going to work when companies are going broke. Chris presents Warren Buffett on MMA Training and Self-Defense posted at Martial Development, saying, "MMA is the mutual fund of the martial arts world. Should you invest in MMA training? Warren Buffett speaks out." texasdave presents Forex your way to Wealth posted at Make Cash Online. Gives reasons for trading currencies and provides links to various sites that will help new forex investors. mmhabits presents How Much is Your 401k Worth? posted at Millionaire Money Habits, saying, "The editor of Money Magazine recently wrote about Why We Flunked 401k, and mentioned some frightening statistics. In 2006, the median 401k balance was only $22,000. Find out how you stack up." Investing Angel presents The 2008 Election And The Stock Market » Free Stock Market Investing Tips posted at Stock Tips, saying, "Your investment decisions right now may largely depend on who you think will win the 2008 election." Michael Miles presents Four rules for effortless investing posted at Effortless Wealth and Abundance. Joe Manausa presents Rent Versus Ownership - A Tallahassee Real Estate Case Study | Tallahassee Real Estate Blog posted at Tallahassee Real Estate Blog, saying, "Much of the news media is focusing on the sub prime debacle and are claiming that real estate is not a sound investment at this time. They do not understand the cyclical nature of the real estate market. This entry analyzes the results of owning a home for the past 17 years versus leasing one. The numbers used are "real world" and demonstrate the value of long-term home ownership." The Shark Investor presents Real Estate Investing With Pennies posted at The Shark Investor, saying, "Strategies to invest in real estate when you don't have the money"
durbanbay presents TSEC Taiwan Technology Index posted at Hi Tech Taipei, saying, "An introduction to the Taipei Stock Market Technology Index." Marc and Angel Hack Life presents 11 Practical Ways to Spend Your Money posted at Marc and Angel, saying, "[W]hen you do decide to spend your hard earned money it should be spent on something practical, useful, and meaningful to the wellbeing of your existence. Here are 11 practical ways to spend your money on something useful." Value Seeker presents TD Ameritrade Review posted at Stock Investing, saying, "A review of one of the most popular brokerages." Glowicki ProBlogger presents How to get decent traffic to blog posted at Glowicki ProBlogger - Blogging Tips, saying, "Get free traffic to site to promote products." American Entrepreneur presents Expert Q & A: Marketing Your Business With Information posted at American Entrepreneurship. Product Launch Formula 2.0 Jeff Walker presents How To Launch Your Product Even If You Only Have A Tiny List posted at Product Launch Formula 2.0 Jeff Walker Hands You The Insider Secrets To Successful Product Launches, saying, "You don't need to be a guru to have a successful product launch. Free non-guru product launch video case study shows you how. Truly Inspiring"
Andrea Smith presents Is Debt Consolidation Fixing Your Problem? | LoanHunt.com posted at LoanHunt.com. "Debt consolidation can offer an individual a greater sense of financial freedom in many ways." Mark Butler presents We Saved Like Bandits, and Invested in Businesses posted at The Butler Project, saying, "Part 2 in a series based on interviews with a multi-millionaire." Put your money into things you understand and where you have full control. Tracy Coenen presents Sam Antar's advice to investors posted at FRAUDfiles. Dave presents Genuine Progress Indicator posted at Cheapo Groovo,saying, "we are not doing as well as the official government number shows!" LIVING OFF DIVIDENDS presents Time To Buy Online Retailers? posted at LIVING OFF DIVIDENDS & PASSIVE INCOME. "Maybe it’s time to look at Amazon’s stock (AMZN)?" Billy Akerman presents Buying Penny Stocks posted at Beating The Stock Market, saying, "Buying penny stocks, are they really only worth a penny? Well in most cases not even that, but on the other hand are $100 stocks worth it?" Ellesse presents Free Career, Business & Trade Magazines for Your Career & Economic Goals posted at Goal Setting College. Robert Phillips presents One Size Does Not Fit All posted at CYBERCA$HOLOGY. Robert Phillips presents Negotiation Tactics for Dealing with Home Sellers posted at REAL ESTATE INVESTING. Joshua Dorkin presents Texas: The Next Real Estate Boom? posted at Real Estate Investing For Real. Raymond presents Even Celebrities Can Fall On Hard Times And Face Home Foreclosure posted at Money Blue Book. Livingalmostlarge presents Frugal Condo Tip posted at LivingAlmostLarge, saying, "Why buy a condo over a single family home? Here's a tip on why you shouldn't." Tammy Powell presents 3 Shocking Discoveries I Made after 52 Calls to Pre-Foreclosure Sellers posted at Majestic Tech by an Enlightened Wealth Institute student. David Hunkar presents Send your $5000 on vacation with foreign stocks !! posted at ADR Universe, saying, "Lets say you have $5,000 to invest now in a tax-free account such as a Roth IRA.You have a long-term investment horizon and you do not need to withdraw this money or the returns until you retire. In this article,I will discuss one way to make this money grow to a decent sum for those retirement days." Praveen presents American Century Ultra Fund: The Folly of Not Following Your Trading Plan posted at My Simple Trading System. Brice Hogan presents Top 20 IBD Stocks posted at Financialzip.com, saying, "The current top 20 stocks of the Investors Business Daily for the month of June. Great stocks in this lot."